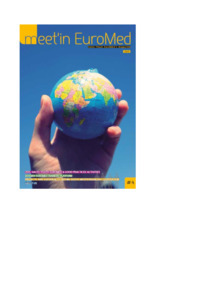 With this magazine we wish to offer to all the actors of the Youth in Action and EuroMed Youth Programmes (National Agencies & National Coordinators, trainers, project holders, participants, ..) a place to share their experiences within this framework. All contributions help to show the richness and the diversity of what is possible under the common umbrella of the programme. We hope you will have plenty of experiences to share with us. So far: enjoy your reading! 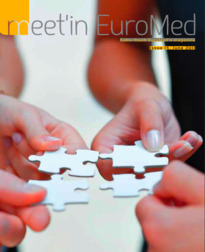 Meet'In EuroMed 17 - Dossier "EuroMed Trainers' Platform"
The new issue of our magazine "Meet'In EuroMed" here to download. 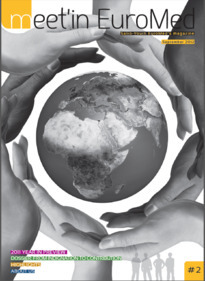 This year, it includes a dossier dedicated to the long term stratey about how developing the needed competencies for working in the EuroMed cooperation. 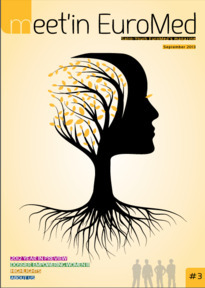 Meet'In EuroMed 16 - Dossier "Empowering Women III"
This year, it includes a dossier dedicated to the seminar "Empowering Women III" held in Paris in April written by Esther Gelabert, Youth Expert, Euro-Med region, Director of Belies Consulting.